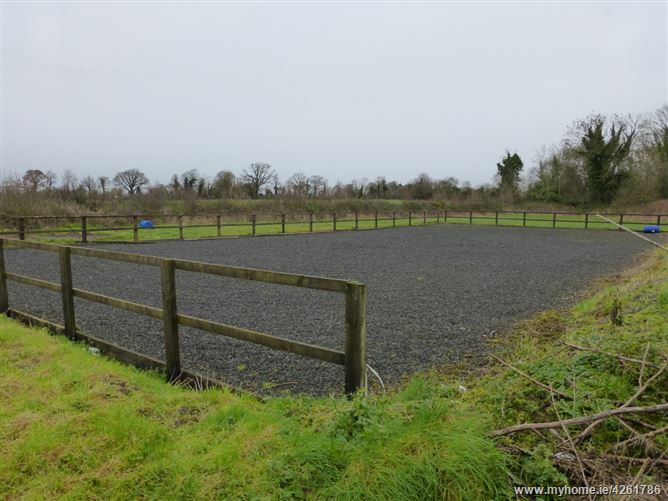 Excellent equestrian facilities including three stables, haybarn and sand arena. 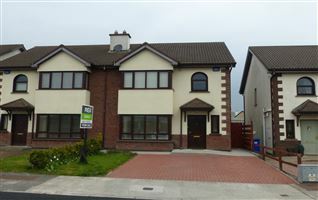 Located only c.10 minutes from M9 Dublin/Waterford road. 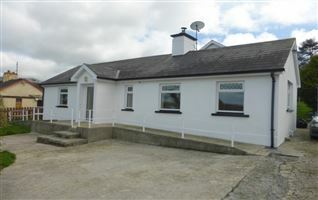 Lovely location on quiet road - Ideal for exercising horses. Many original features within the house. 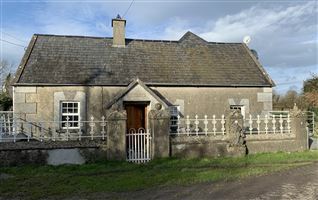 Attractive cottage which was extended in 2009. 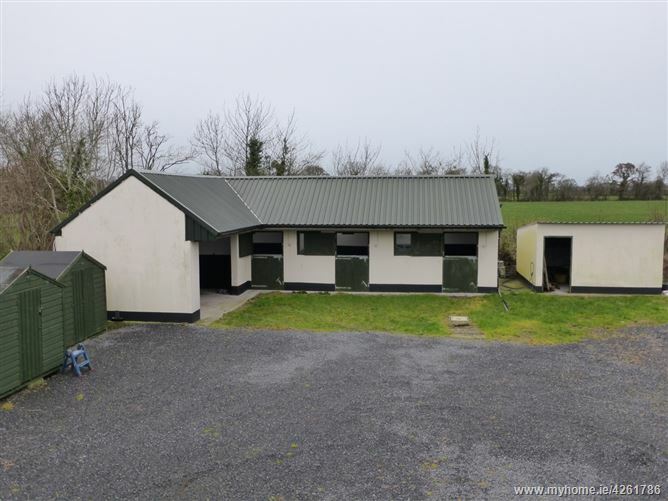 The property is in excellent condition and comes with excellent equestrian facilities including a sans arena, three stables and a large open shed/haybarn. 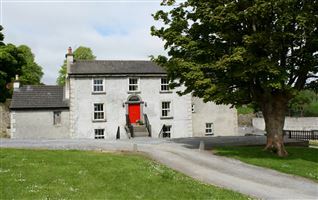 The current owner has ensured that the original cottage be maintained with most of the original features including the unique shell effect to the front facade of the property. 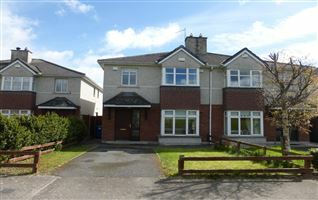 The extension to the property has transformed this house into a bright property, with large kitchen (with pantry), wet-room facilities and large double bedroom on the first floor. Original features include the stairway and a large stone fireplace where there is a superior Hunter 14 stove. The heating system has been upgraded to an oil fired central heating system with efficient condenser boiler. 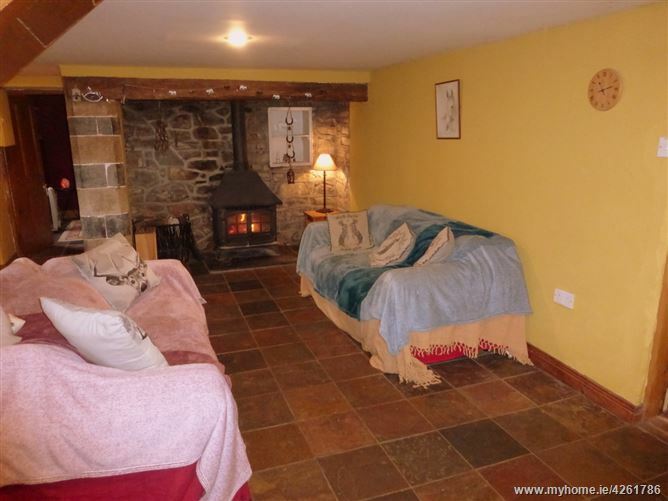 The property has two reception rooms, each with wood burning stoves. 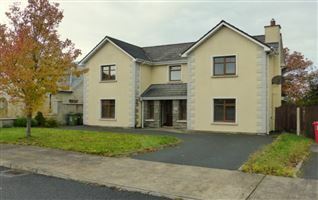 There are two bedrooms on the first floor as well as a spacious bathroom. 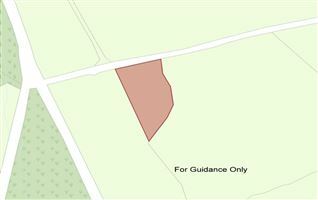 There are two vehicular access points providing access to the rear of the house where there is a large yard, three timber sheds, stables and the sand arena. 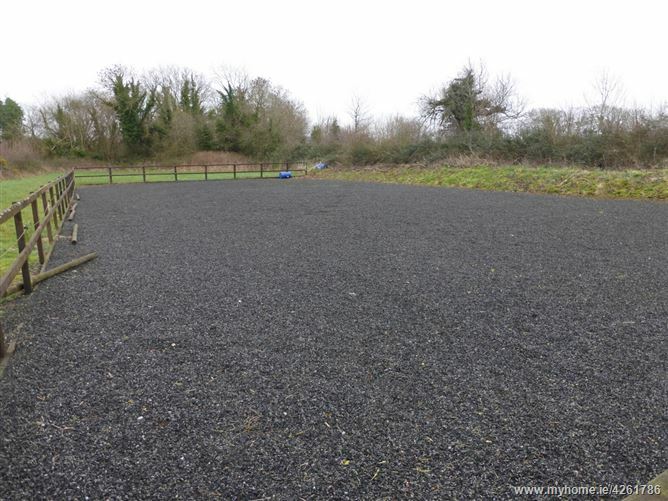 The arena is finished with a top layer of rubber and has a timber fence to three sides and a bank along the fourth side which is ideal for schooling horses. 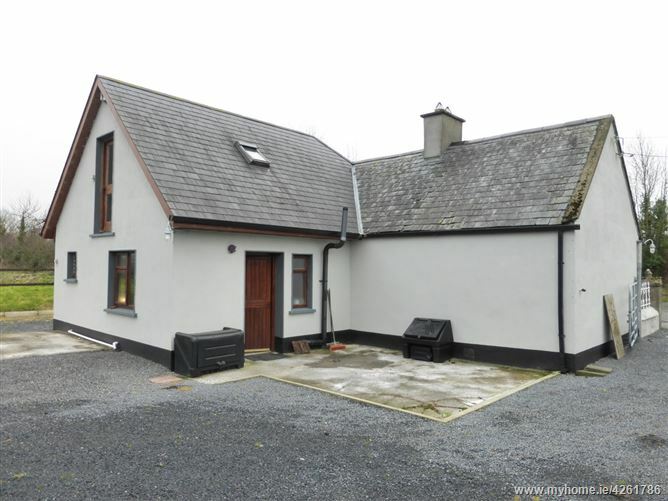 The property is in a lovely, quiet area, close to Callan, Kilmoganny, and c.20 minutes from Kilkenny city and just c.10 minutes from the M9 motorway (jct 10). From M9 Junction 10: Take the R699/R701, through Newmarket. Take the next right turn (signposted for Kilmoganny) and continue into Kilmoganny village. 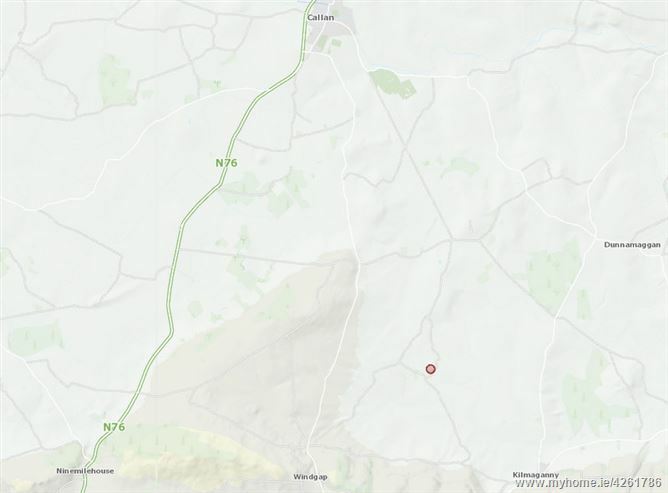 At Kilmoganny, turn left onto the R697 and continue for c.500 meters and take the first turn right. Stay on this road for c.1 mile and take the next right turn. Continue for a further mile and take the next right turn and travel for a further c.100 meters and you will arrive at the property. 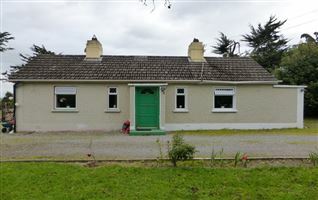 From Callan, take the R699, the "New Line" (Past Callan Golf Club) for c.3 miles. At the end of the straight road, take the road that straight ahead and continue for a further c.1 mile. 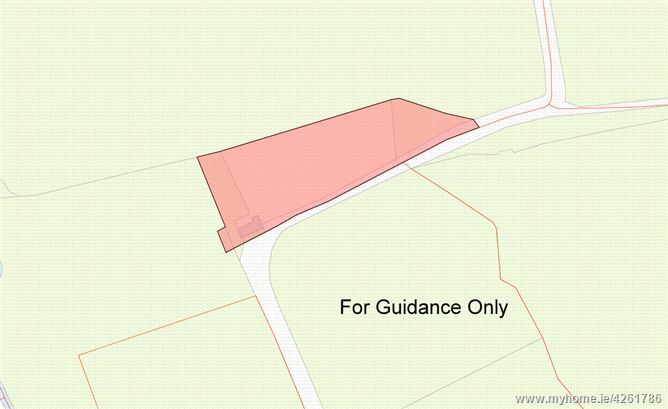 Take the first turn left, continue for c.0.8 mile and the house is on the right hand side. Stable door to the front of the property. Tiled floor, Hunter 14 stove within original stone fireplace. Large dining area. Original stairs leading to the first floor. 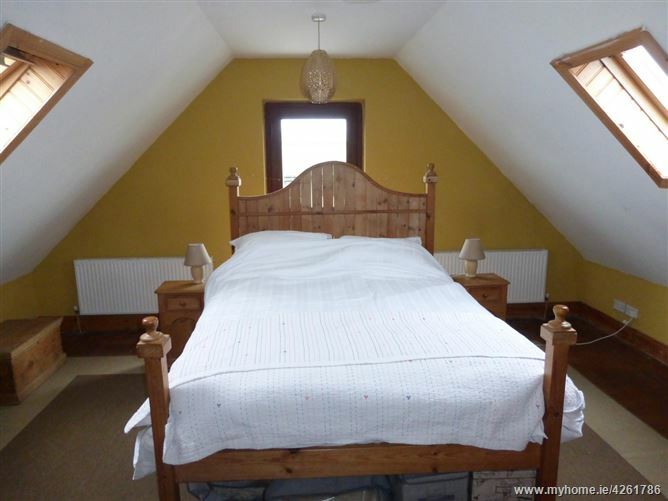 Well appointed room with high ceiling (2.9m). 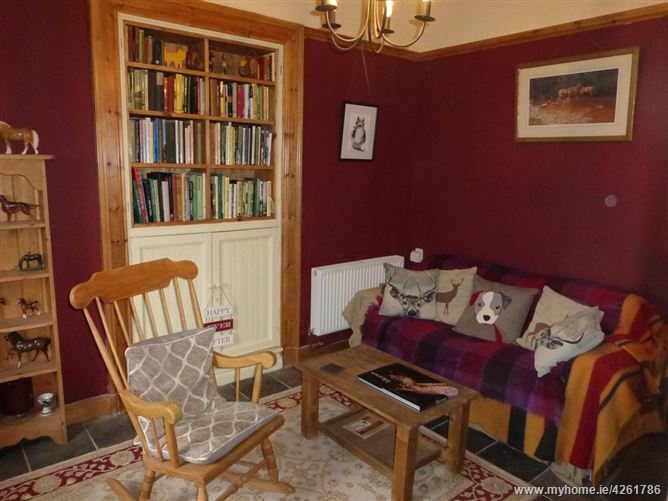 Solid fuel stove and built in bookcases. Window to the front of the property. 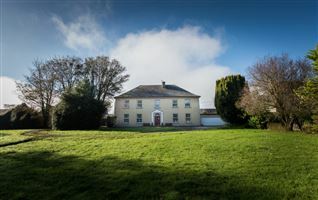 Located in the extension to the rear of the house. Finished with timber work surface, fitted presses and a Belfast sink. 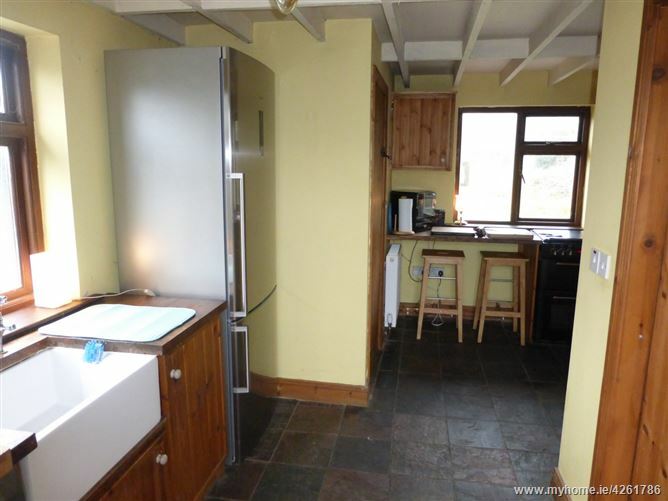 The kitchen is in an "L" shape and has a tiled floor and extra work surface to the side. Access to the rear of the property. There is a pantry located off the kitchen. 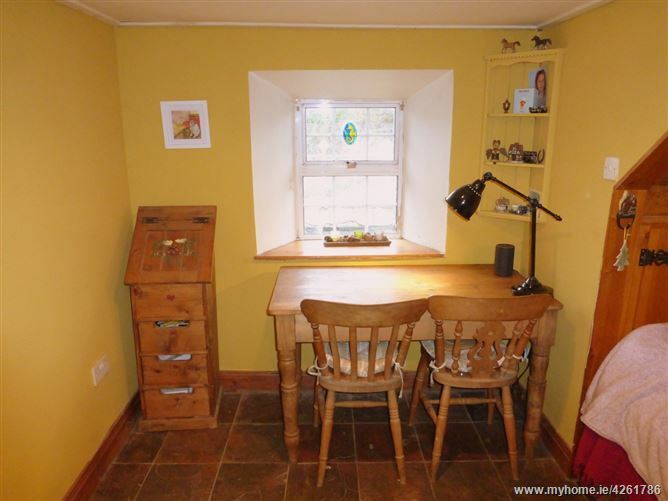 This is a clever room which is finished with timber work surface and built in shelves as well as a small ceramic sink. 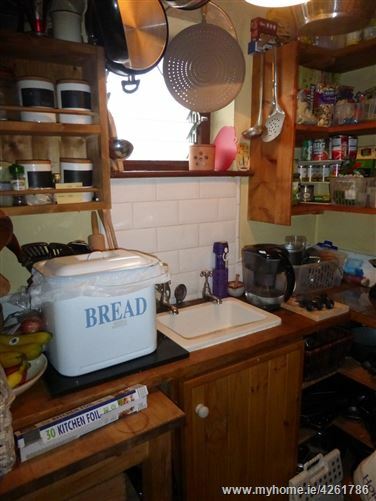 Ideal for storing and preparing food. 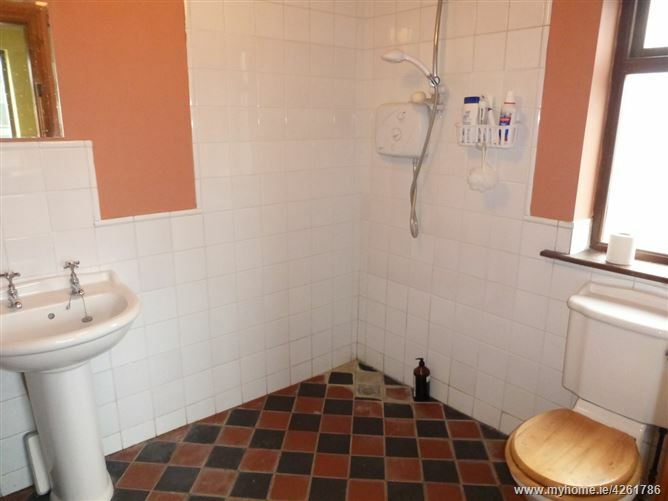 Large shower room / wetroom (wheelchair accessible). Tiled floor and walls, whb, WC and shower (Triton T90 xr). Window for natural ventilation. 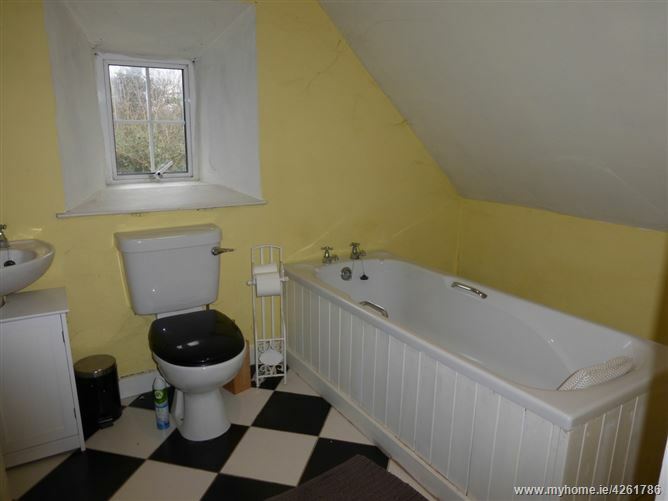 Large bathroom with bath, whb and wc. Tiled floor. 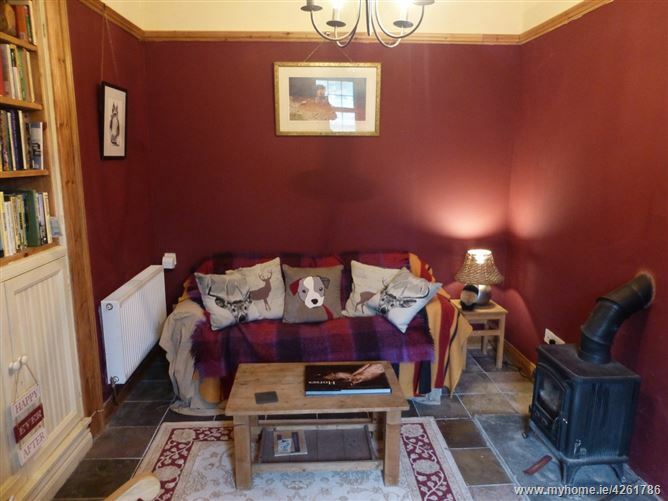 Spacious double bedroom, located to the rear of the house. 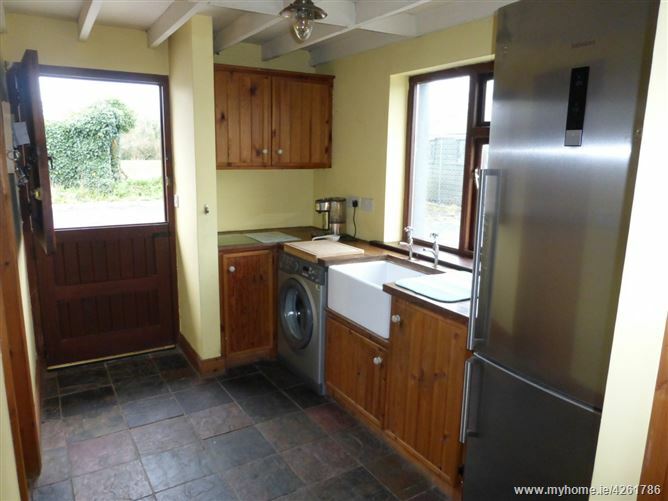 This is a nice bright room with two velux windows and a glazed door to the rear. 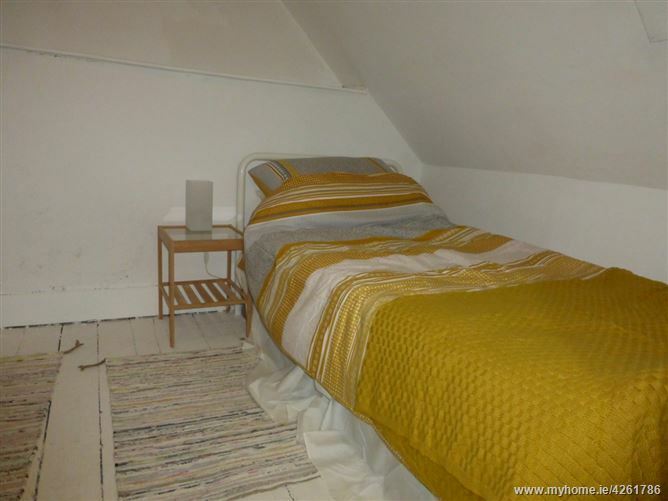 Single bedroom with an open wardrobe in the eves. 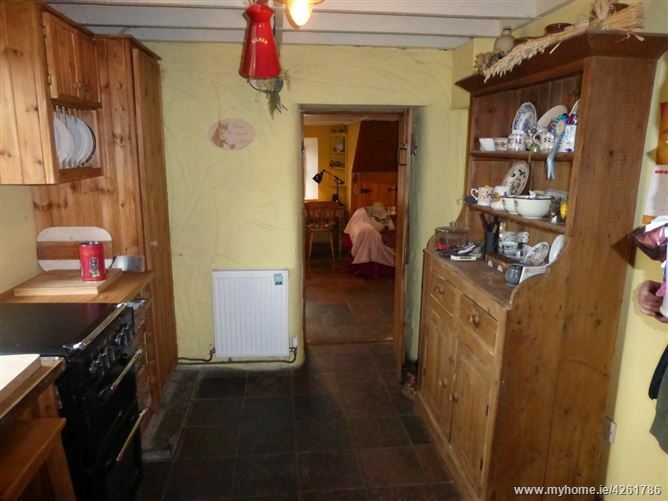 Exposed floorboards. Three timber sheds - currently used for animal feed and tack facilities. Block of Stables and Shed - Block built with corrugated steel roof. Large open shed / haybarn 5.9m x 3.6m. 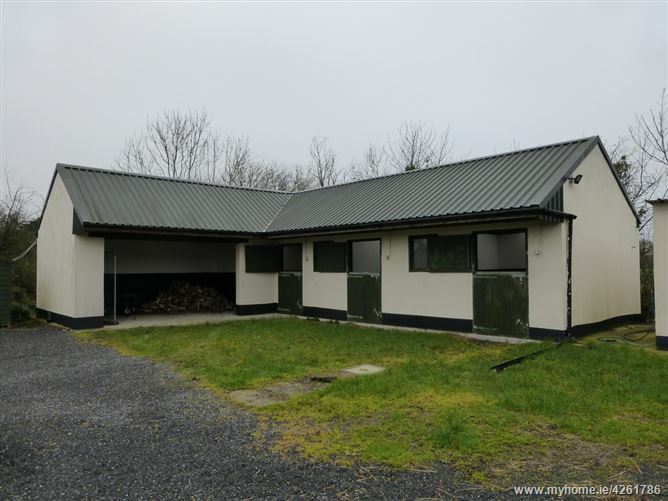 Three stables - 1 x Mare and foal stable (4.5m x 5.5m) and two regular stables (3.6m x 4.5m). Shed - With oil tank. Sand Arena: Constructed to a high standard. Fenced on three sides with a bank on the fourth side. The arena measures 40m x 20m.